Cisco’s layoffs this week could be the first in a series of cutbacks hitting product lines and business units that have underperformed. Wide Area Application Services (WAAS), Collaboration, Linksys and Advanced Services have been hit with the pink slips, mostly in sales departments, according to online buzz. Collaboration specifically was called out in Cisco’s last earnings call as an execution disappointment; and Cisco historically has had a hard time catching Riverbed in the WAN optimization market. The Linksys home router unit — virtually all that’s left of Cisco’s scuttled consumer business — has been rumored for a while to be the target of further streamlining. And Advanced Services, Cisco’s consulting and integration business, may have become a bit too fat for the company as its stock price and market cap decelerate in the face of heightened competition, market share losses and tightened customer spending. Indeed, the 1,300 employees let go this week may be the tip of an iceberg that ultimately sees thousands more released as Cisco winds up a challenging fiscal year 2012. The current fourth quarter is expected to come in well below Wall Street expectations due to ongoing economic challenges and conservatism in enterprise IT spending. Sources say Cisco has enlisted a consulting firm to advise the company on a sweeping consolidation that could result in several more so-called “limited restructurings.” The plan is part of Cisco’s Transformation Project, an effort led by Senior Vice President Angel Mendez to “deliver greater productivity, agility, and growth” by tweaking the company’s product and services portfolio, and operational capabilities. Sources say Cisco is doing a“bottom 5% elimination,” and that layoffs may continue until December. Interestingly, all of this comes as Cisco wins European approval to close its $5 billion acquisition of pay-TV technology company NDS and absorb 5,000 new employees. It also coincides with a pivotal acquisition in the network virtualization and software-defined networking space, with VMware’s $1.26 billion purchase of startup Nicira announced this week. VMware, the leader in server virtualization and a longtime Cisco partner, is broadening its reach into network virtualization with the Nicira acquisition. Several analysts and other observers expect competition between VMware and Cisco to intensify and for their partnership to be strained. More immediately though are product issues, beginning with WAAS. Cisco is the No. 2 vendor in WAN optimization behind Riverbed, but a distant No. 2. Its share of the $1 billion market is about 12% to 13%, compared with Riverbed’s 40% to 50%, according to Dell’Oro Group. WAAS revenue declined sequentially for Cisco in Q1 as it did for every major vendor in the market, Dell’Oro noted. But Cisco’s WAAS revenue is at or below the level it was in Q2 2010 while Riverbed’s has grown roughly 30% since then, according to Dell’Oro figures. Also, Cisco a year ago combined WAAS’s standalone business unit — the Application Delivery Business Unit — into its Services Routing Technology Group, which may have necessitated this week’s restructuring to eliminate redundancies. Yet Cisco says it remains committed to WAAS and has no current plans to discontinue the product. The collaboration technologies business was a disappointment during Cisco’s fiscal Q3, which ended in late April. Sales were flat due to market dynamics and lack of execution. TelePresence specifically, a key piece of Cisco’s collaboration strategy, was hit by decreased spending in public sector and enterprise. 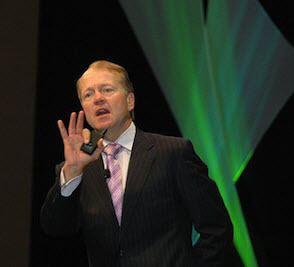 CEO John Chambers, during the recent Cisco Live conference, more than once referred to the need for Cisco to improve its collaboration execution, including the need for more operational consolidation. These proclamations came shortly after Cisco killed its Cius collaboration tablet computer only two months after it began shipping. In Advanced Services, Cisco may just have simply overshot the market. Every product announcement was accompanied by a related array of new services offerings. And in the face of cautious spending and global economic challenges, if customers are not buying products they most likely are not buying the services to integrate them. Linksys continues to wear the consumer albatross at Cisco. Cisco all but gutted its consumer operations last year amid disappointing sales and integration and execution strategies. It killed two highly visible products after splashy introductions, laid off 550 people in that unit alone, yet pledged to stick by Linksys and make it a more integral and profitable component of its core strategy. And then Cisco experienced the Linksys cloud snafu of two weeks ago in which it forced a firmware upgrade on users of its EA line of routers, held them in a Cisco Connect Cloud configuration service, and said it would monitor customer activity to uphold service terms and conditions. This week’s layoffs may be the chicken coming home to roost for that Linksys strategy error.